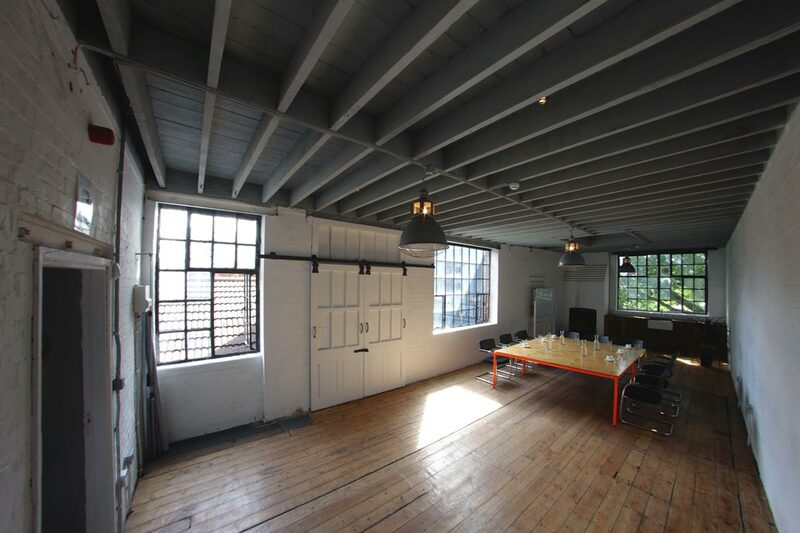 Our West Wing constitutes one of the most multi-purpose venues to hire in Shoreditch, and boasts an abundance of natural light and a sleek, post-industrial aesthetic. It is the largest studio in the building, spanning 100SQM of open, flexible space in a sprawling L-shape, making it suitable for parties of any size – from 15 to 150. The space is well proportioned, with generous ceiling heights in excess of 3 metres, making it well-suited for a variety of purposes such as: meeting rooms, studio hire, photography studios, cocktail workshops, bartender or butler training, fashion shows, pop-ups, galleries, and other brand-oriented experiences. Dimensions: 11.0m x 4.6m (36ft x 15ft). 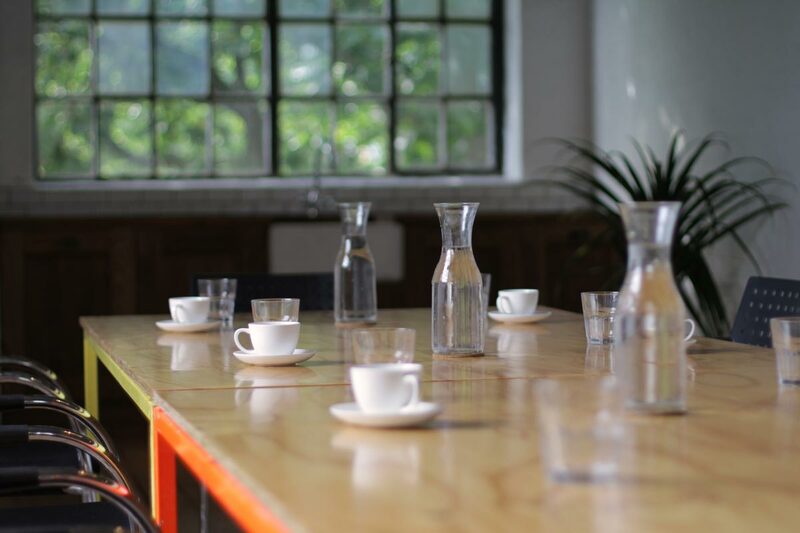 Meeting tables, chairs, and whiteboard available. Capacity: 50 persons (20 as a meeting room). 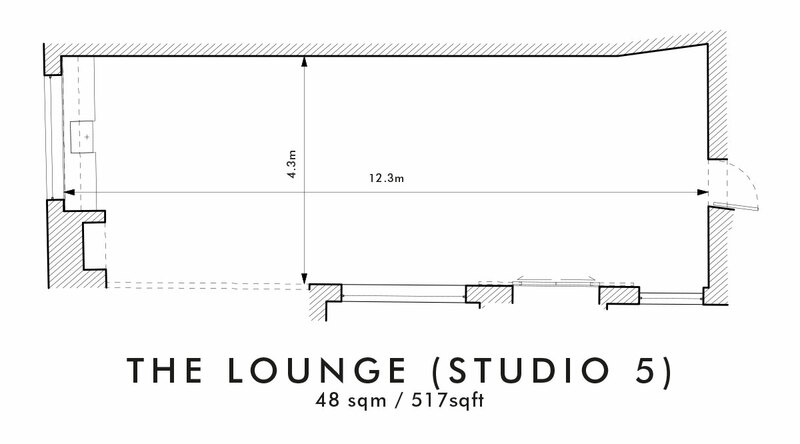 Dimensions: 12.3m x 4.3m (40ft x 14ft). 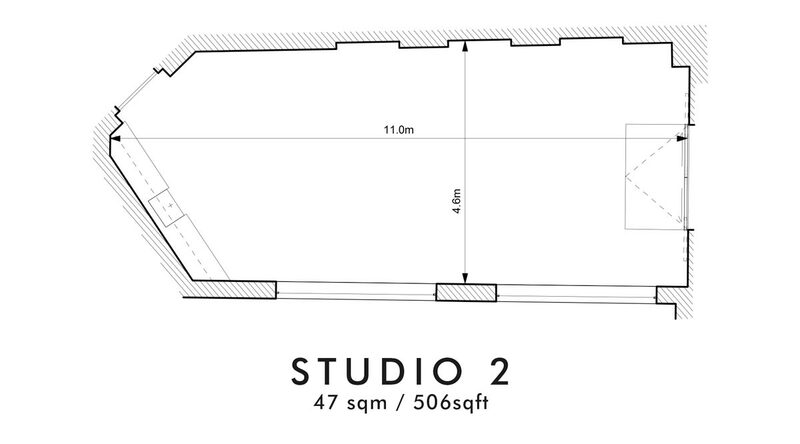 Our spacious and adaptable West Wing is situated on the third floor of our four-floor studios. Making your way through the saloon doors on the back wall of our specialist liquor store on Kingsland Road, through our atmospheric lounge bar, and up a flight of stairs, the room spreads out directly in front of you. Consisting of an L-shaped floor plan, the space is flooded with natural light through a number of large, historic, multi-pane cast-iron framed windows. These windows combine with whitewashed brickwork walls, ‘factory’ light fittings, exposed roof joists and original timber floorboards to lend it a strong and genuine industrial character true to its Shoreditch surroundings. Despite these strong characteristics, the palette of the space is neutral enough to allow for considerable customisation for themed or brand-specific events. The West Wing also benefits from being located mere meters from our fully-equipped kitchen, opening up a range of possibilities in terms of pop-up dining, supper clubs, and general event catering. It is also located seconds away from our permanent office, where you will find our team of experienced event organisers. Conveniently placed on-site, they are available every day from 9 to 5 to discuss any queries or questions you may have – on the day or otherwise – about anything from drinks consultancy to logistical arrangements, to last-minute changes or unforeseen circumstances. As our largest space, the West Wing has probably seen the most action and the most variety out of all of our studios. It’s been used as pretty much anything you can think of – whether that be a large meeting or conference space, a classroom, a banqueting hall, a sculpting studio, a concert venue, or even a scotch-egg themed games room during a building-wide event. The only limit here is your creativity.